Willis Nelson Cummings was born in Galveston, Texas, on July 29, 1894. His mother, Mary E. Badger, was the first African American woman to earn a bachelor of arts degree at Atlanta University (1886) and his father, William N. Cummings, a native of Tennessee, was a graduate of Fisk University. Willis Nelson Cummings’ parents met in Galveston, Texas, where his mother taught Latin and his father became the city’s first black school principal. Willis N. Cummings’ maternal great grandfather John B. Badger had been a practicing dentist in Atlanta, Georgia, as far back as 1815. He treated both white and black patients and later trained his sons in his own office. One of these sons, Dr. Robert H. Badger (born 1829), would be Willis N. Cummings’ grandfather. Dr. Robert H. Badger’s children included Willis N. Cummings’ mother Mary and his uncle Frank B. Badger, who received his D.D.S. degree from Howard University. Willis Cummings attended college at Fisk University. While in college, he became the first African American to register with the Texas Association of the Amateur Athletic Union (AAU). 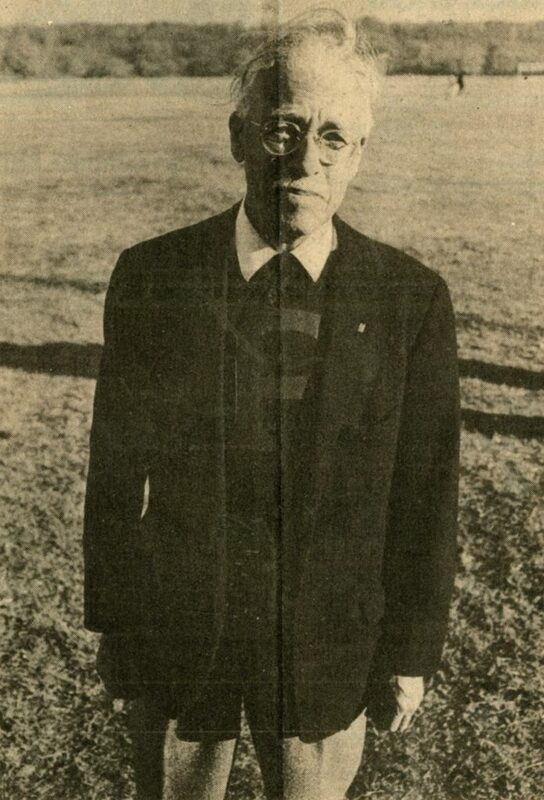 He also organized the first intercollegiate track and field event at Fisk, a one-mile relay race held in 1916 between Fisk and Tennessee State College. After earning a bachelors degree from Fisk University in 1916, Willis Cummings became one of two African Americans among the 259 members of the University of Pennsylvania School of Dentistry Class of 1919. While a Penn student, Cummings was a member of Alpha Phi Alpha, a fraternity founded for African Americans in 1906 at Cornell University. Graduating sixth in his class, he became the first African American to be elected to Omicron Kappa Upsilon, the national dental honor society. A member of the varsity cross country team from 1917 to 1919, Cummings was the third black student at Penn to earn a varsity letter and the first to break other athletic barriers. As captain of the team in 1918, Cummings became the first African American to captain a varsity team at the University of Pennsylvania — and in the Ivy League or the Big Ten. His athletic ability made him both the junior and senior champion of the 1918 Middle Atlantic Association AAU Championships — the first runner of any race to win both championships in the same year. Racism, however, marred Cummings’ accomplishments. Some rival schools, including the United States Naval Academy, refused to have their athletes compete with a black man. And even at Penn, despite the support of coach Lawson Robertson, Cummings faced discrimination. No team photograph was taken of the 1918 cross country team because of a reluctance to show an African American sitting in the center as captain. Records of most of his achievements at Penn somehow disappeared after his graduation, and it was not until Cummings brought in his own scrapbook and research that his name was restored in the official record. In 1969 the Pennsylvania Athletic Club publicly acknowledged Cummings as Penn’s first black captain of a varsity team. Dr. Cummings practiced dentistry in New York City’s Harlem from 1920 until his retirement in 1969. In New York he continued to fight racial discrimination; in the 1930s his efforts helped to open up the Dental Society of New York to allow Jews and African Americans to become members. He married Blanche M. Rudd of Hamburg, Virginia. His dental office was at the same address as their apartment at 2340 Seventh Avenue. Cummings remained physically fit even in his senior years; at age 85 and wearing his Penn varsity sweater, he surprised a young engineering student by passing him on a lap around the Franklin Field track. Cummings died in Harlem at age 97 on December 2, 1991.